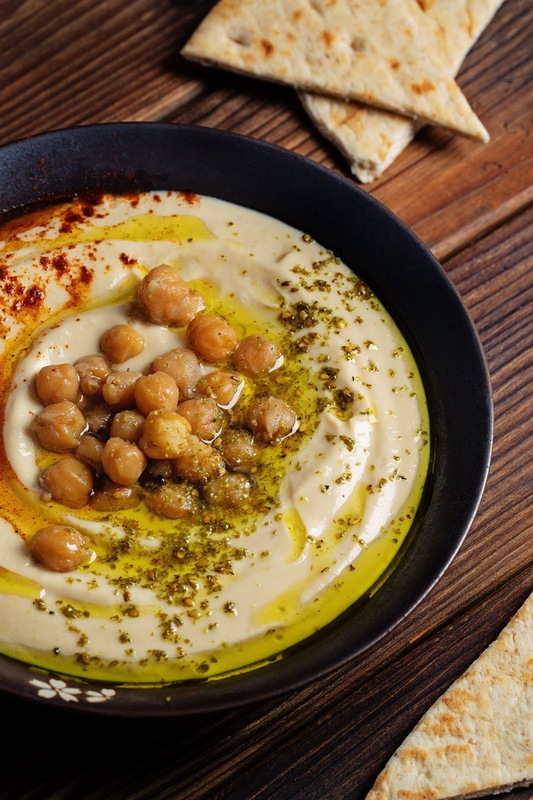 Hummus from home-cooked chickpeas is a healthier, tastier choice over store-bought. 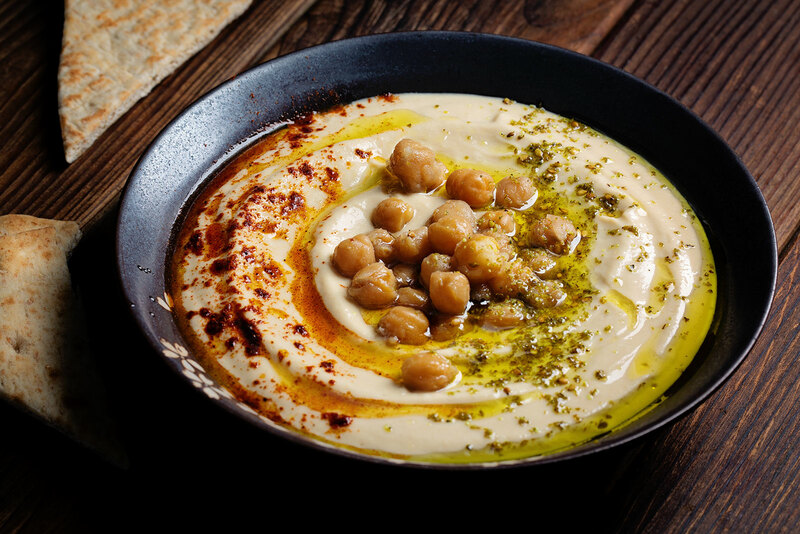 Read on to learn the three tricks to the silkiest, smoothest hummus. 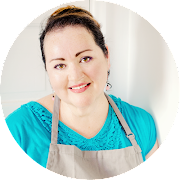 Just a quick pop in this week to say, I hope you loved last week’s recipe for making the best chickpeas from dried beans. 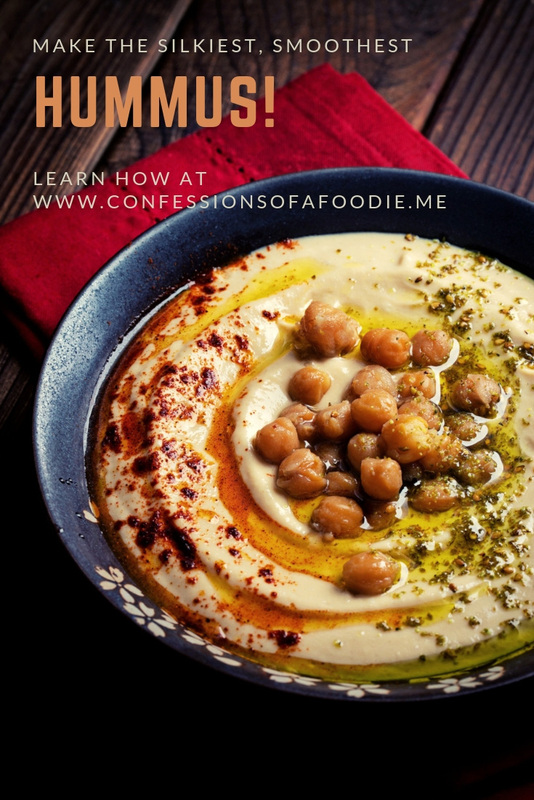 If you haven’t made it yet, maybe this week’s post will give you another reason to try: hummus! I love hummus. In all its forms: thick and chunky; with fruits added; with herbs; with nuts and seeds. But truth be told, I’m most in love with silky smooth light and fluffy and to get that, you need three things. First, you need to start with super tender home-cooked chickpeas. I know some people can achieve that consistency using canned beans but they also spend a lot of time peeling away the skin from each and every bean. Secondly, use a powerful blender instead of a food processor. I’ve always used a food processor and you can’t get it perfectly smooth and certainly not fluffy. A blender is able to whip in air. A powerful blender gets it there fast. And with no grit. And the third, you ask? The secret that takes it past good to pretty darn great? Ice. Yes, you read that right. Not cold water. Ice. Granted, I haven’t done this exact recipe with canned chickpeas so I can’t say with 100% positivity that ice and canned chickpeas can't get you this silky smooth of a recipe. So you could try. I can tell you that the homemade chickpea recipe from last week will. And boy! Howdy! Do they! 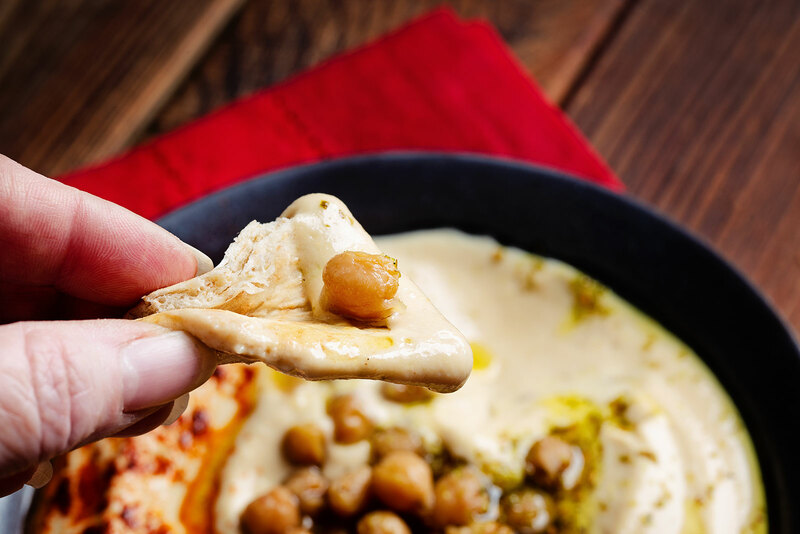 If you love hummus, give this version a whirl. Just don’t tell anyone else about the ice. Let’s keep that our little secret. Until next time, friends. ¡Buen Provecho! Place 3 cups of the drained chickpeas, tahini, lemon juice, garlic and cumin into a blender, preferably a high powered one. Blend on high until smooth. Add the ice and blend again until smooth, light and fluffy. Taste and add salt or lemon juice to preference. 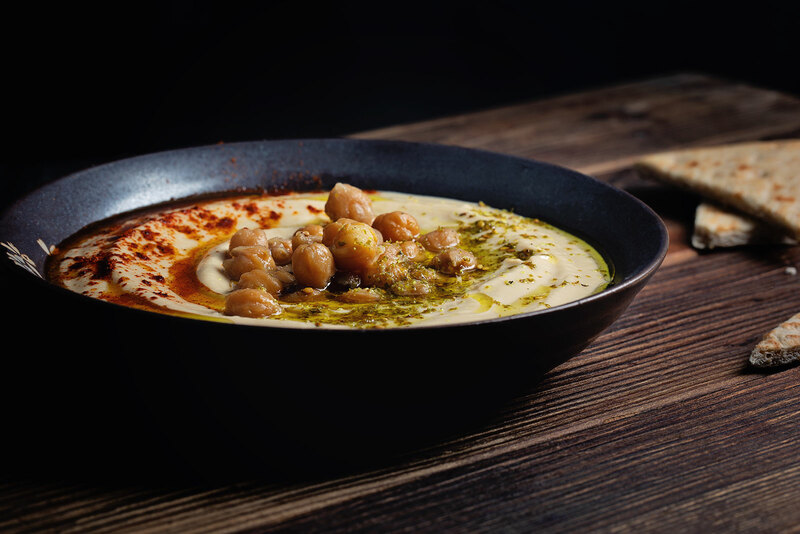 To serve, spread hummus in a plate, turning the dish to create a swirl. Place reserved ¼ cup chickpeas in the center. Drizzle olive oil to taste over the hummus. Sprinkle the paprika on one side and the za’atar or spice of preference on the other. Serve with warmed bread or raw vegetables of choice. Store in the refrigerator. Hummus will be even better the next day. Stir well before serving.